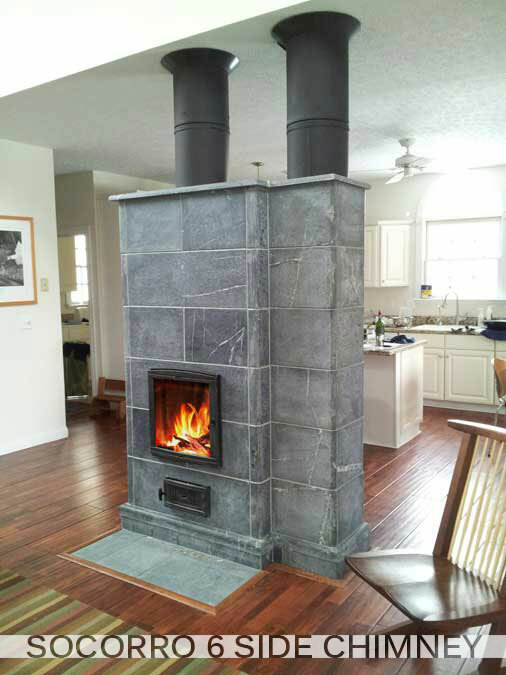 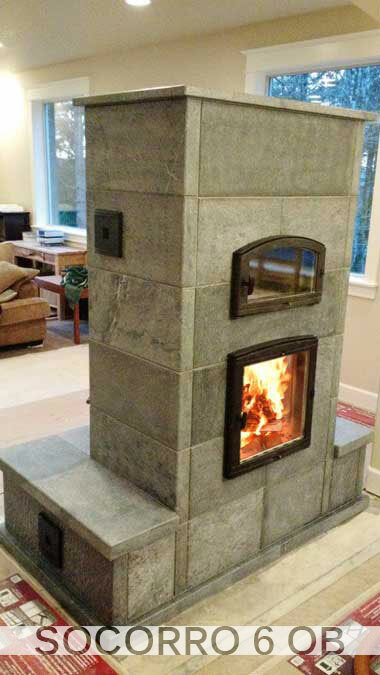 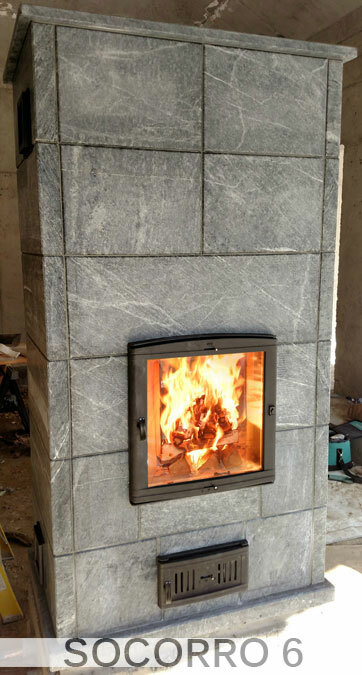 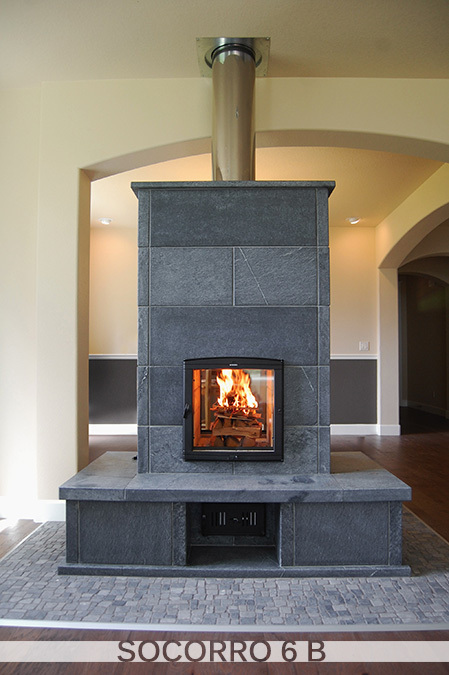 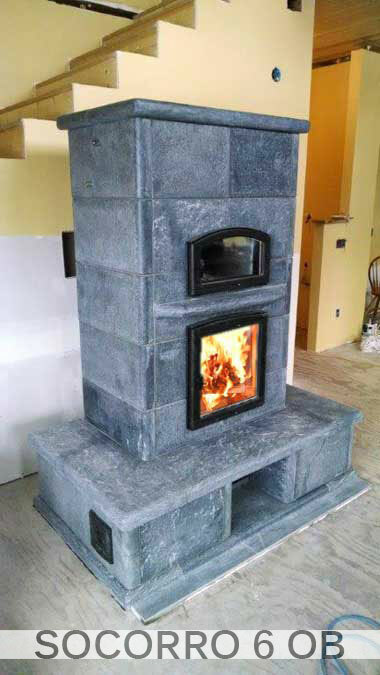 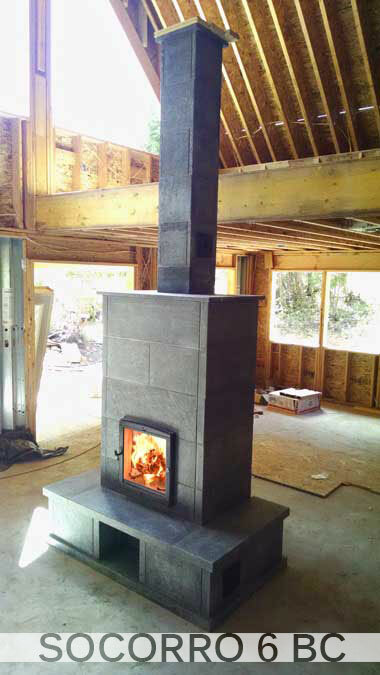 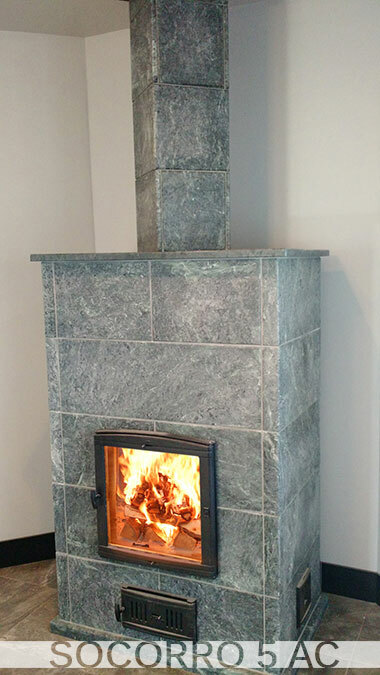 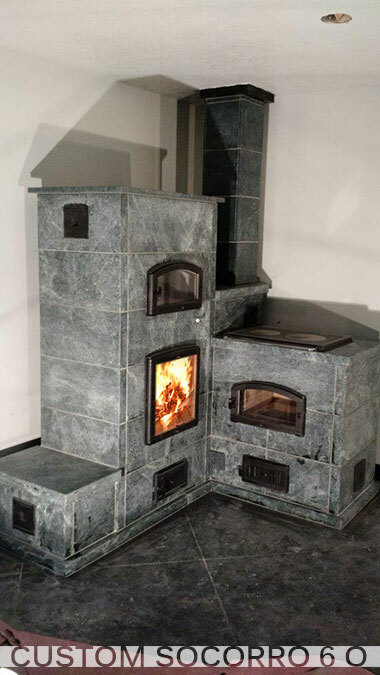 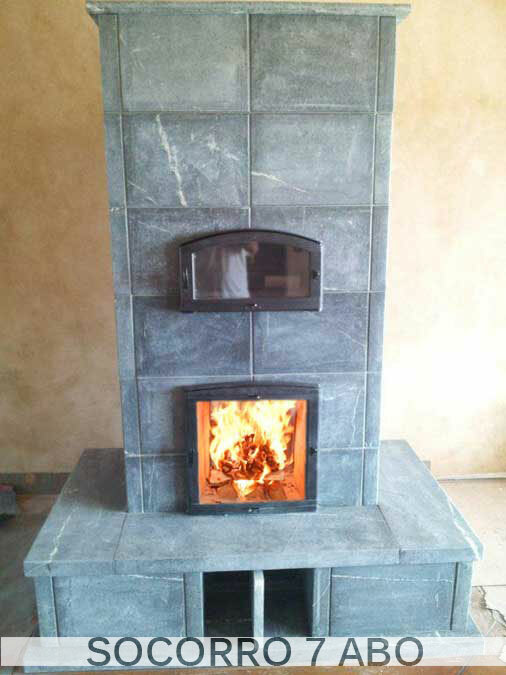 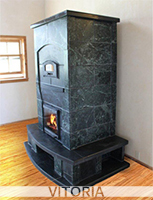 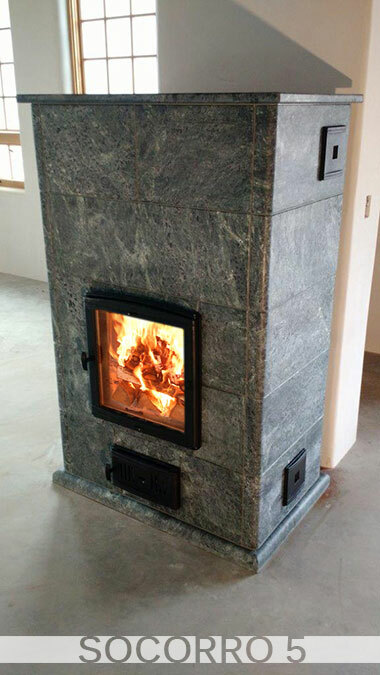 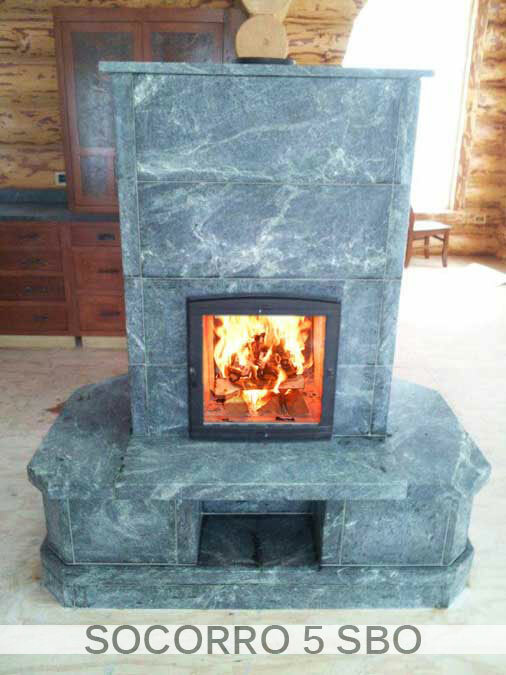 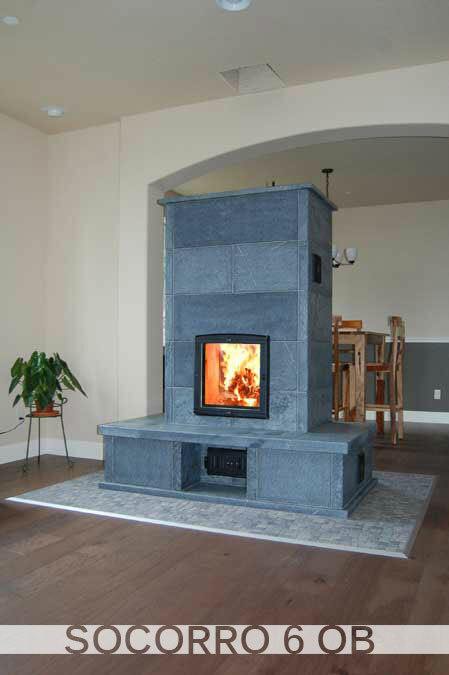 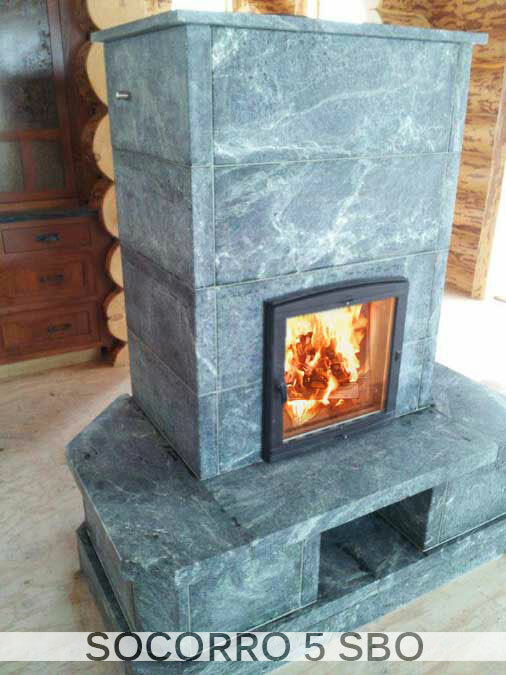 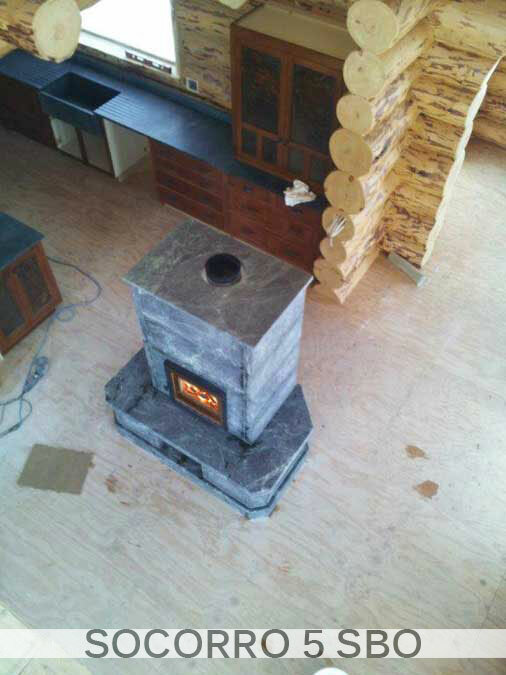 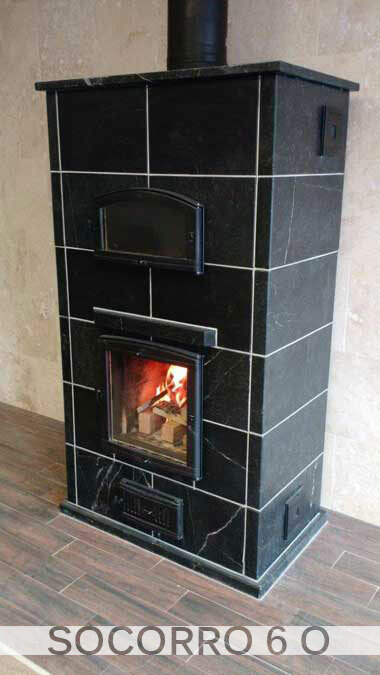 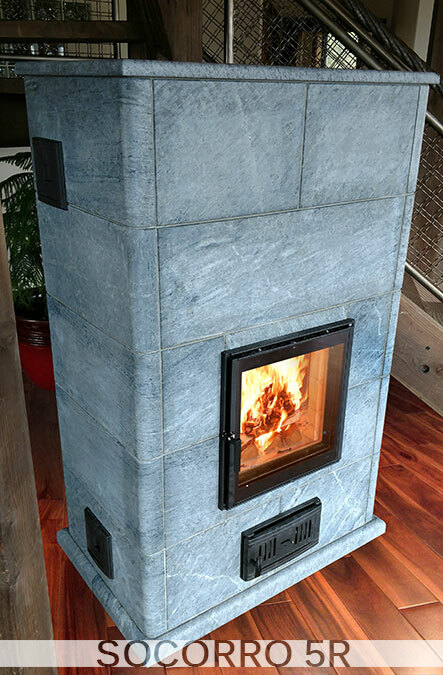 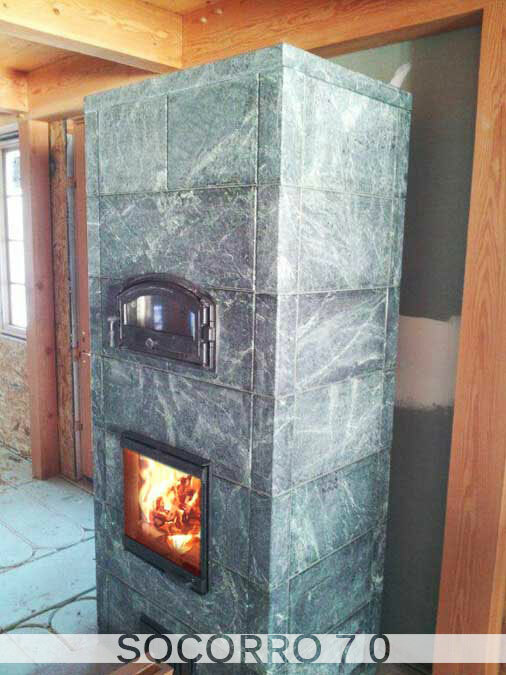 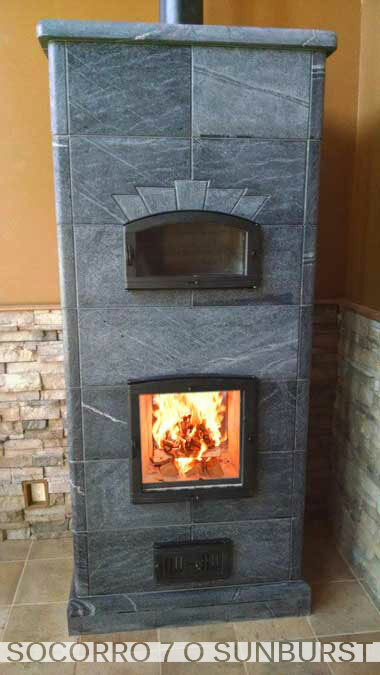 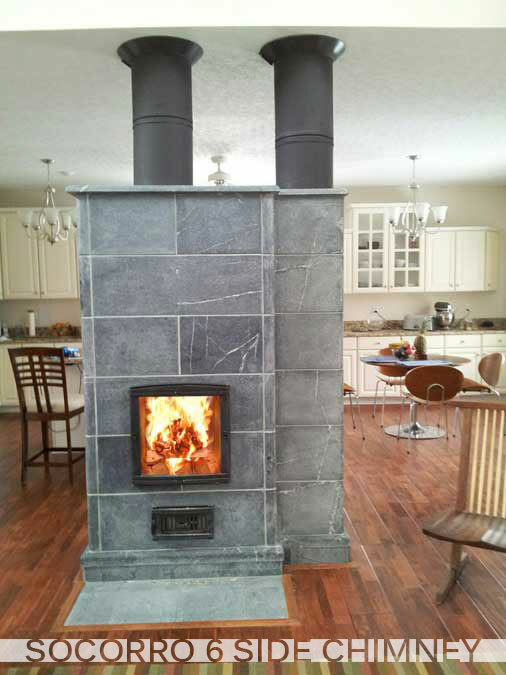 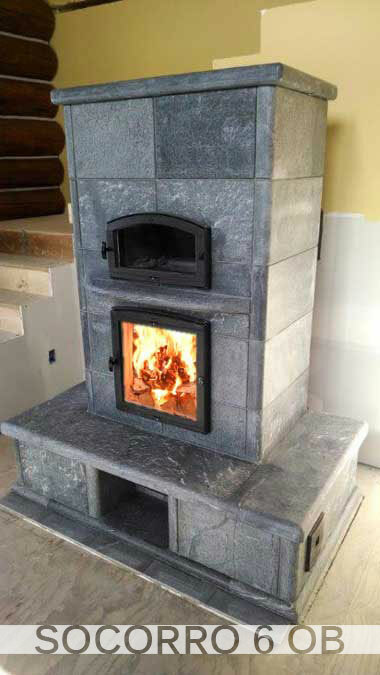 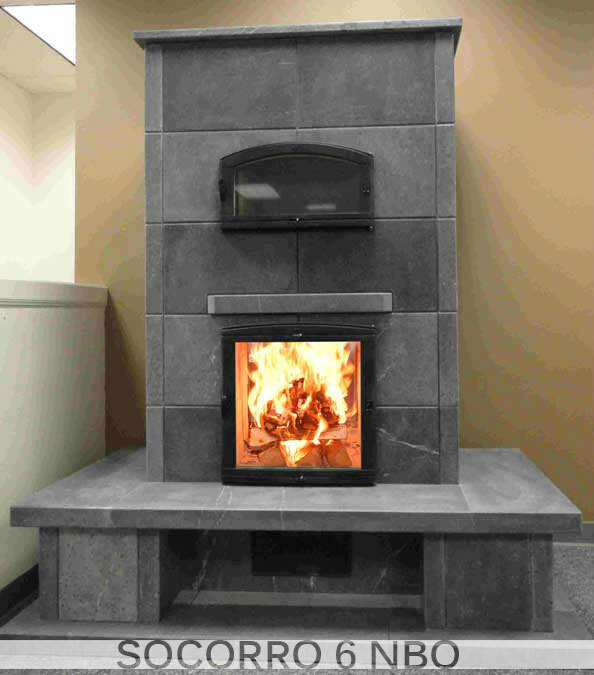 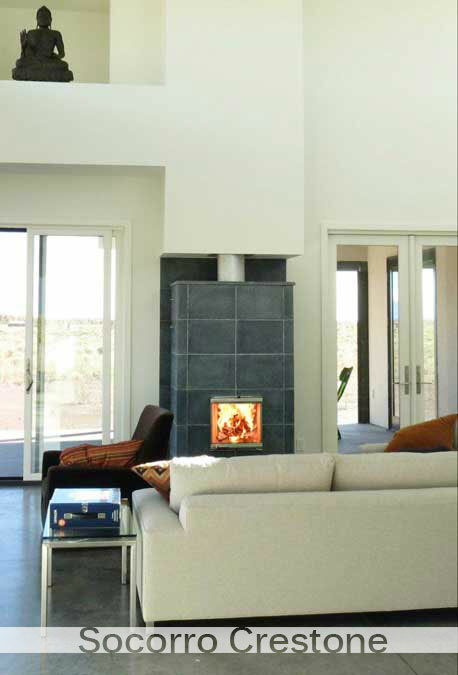 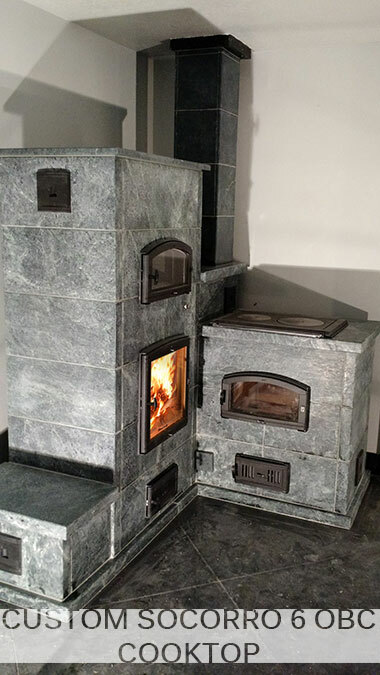 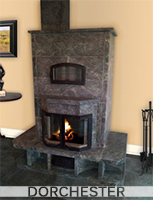 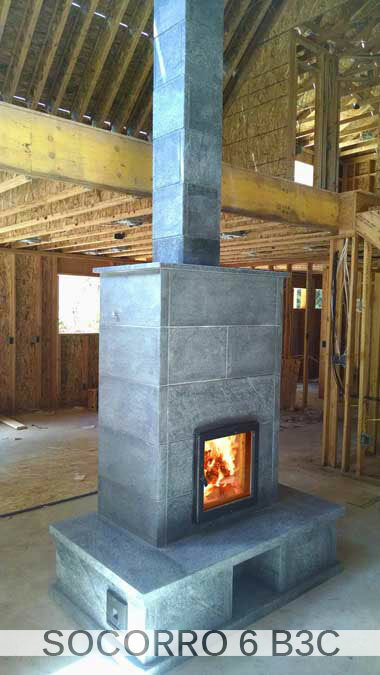 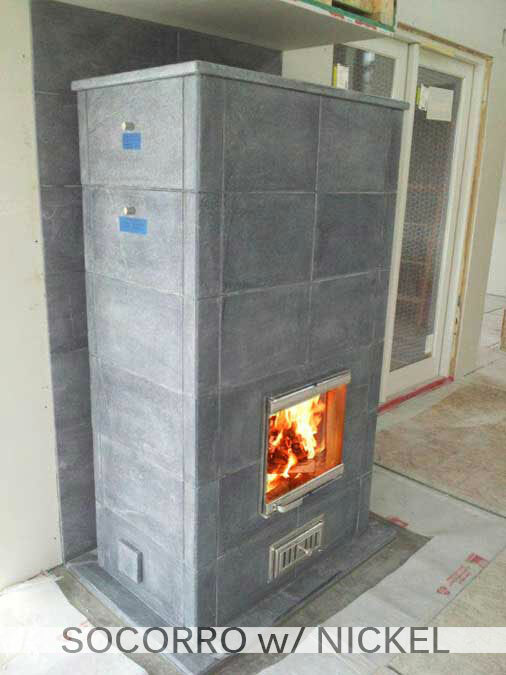 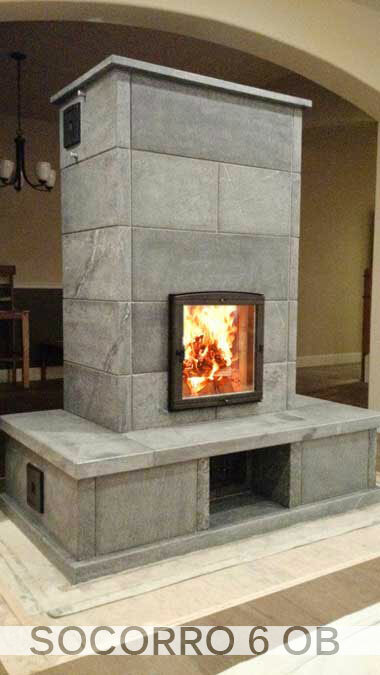 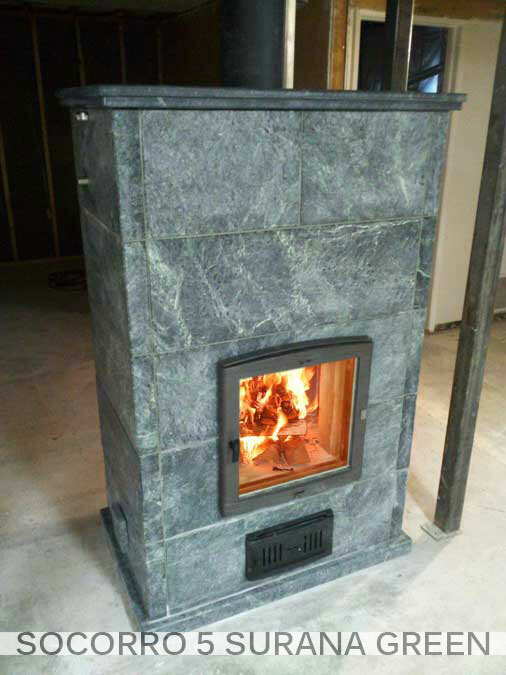 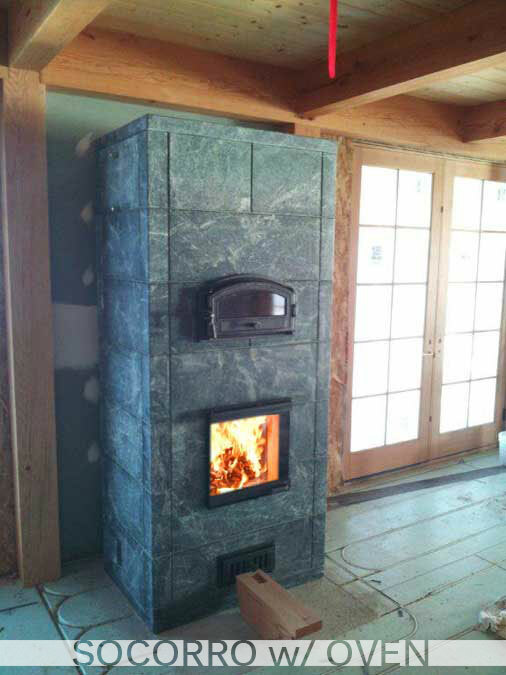 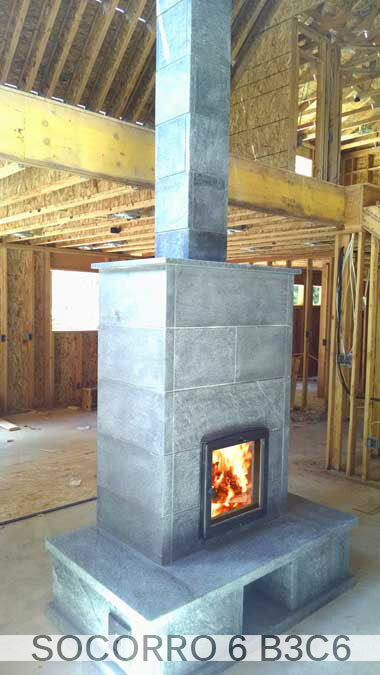 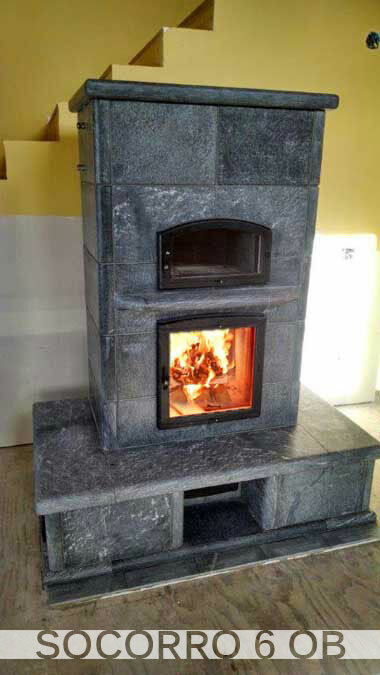 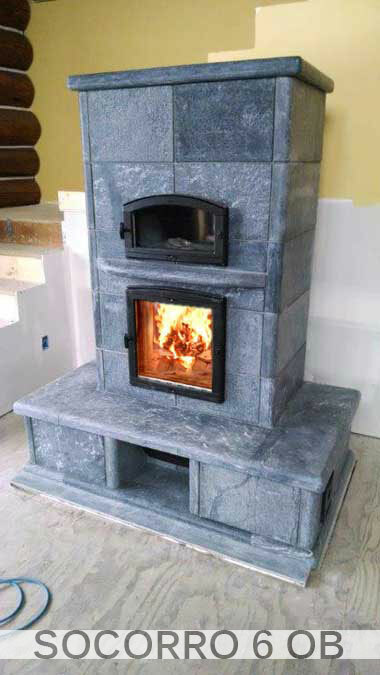 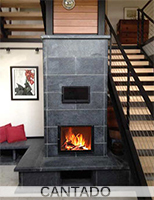 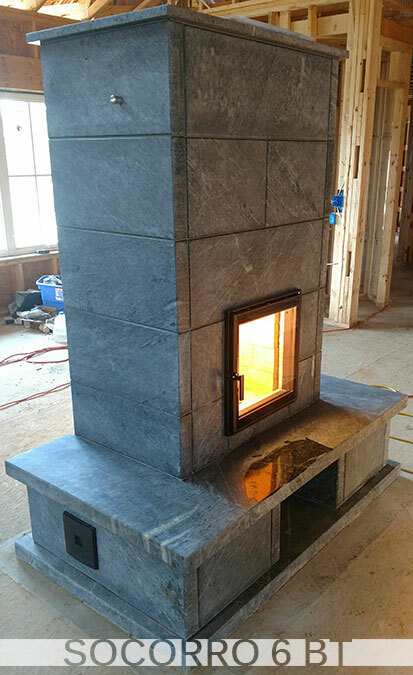 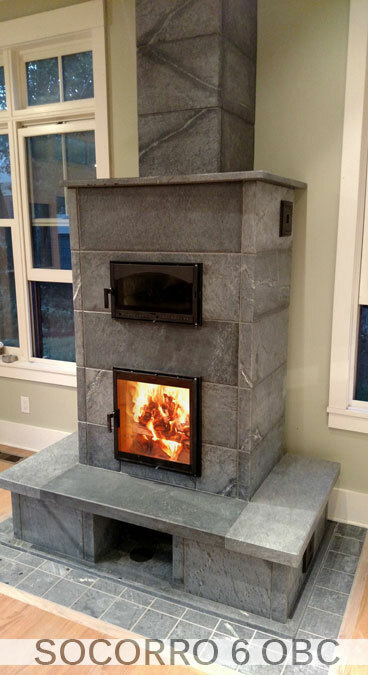 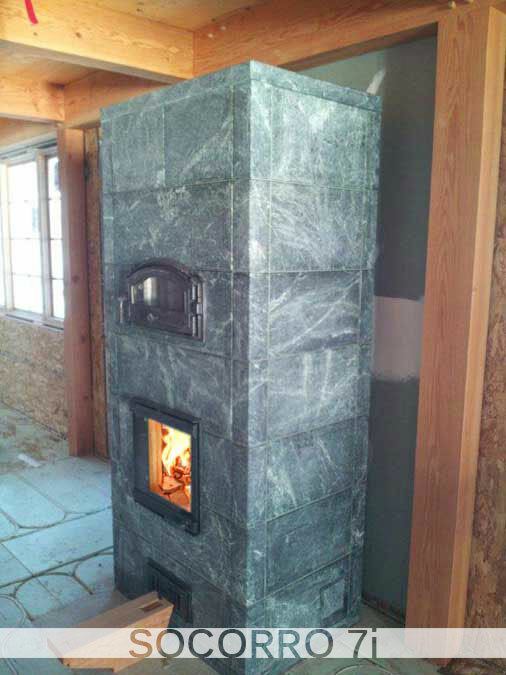 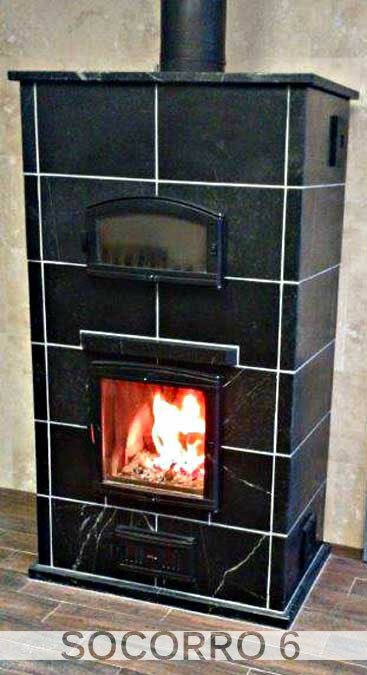 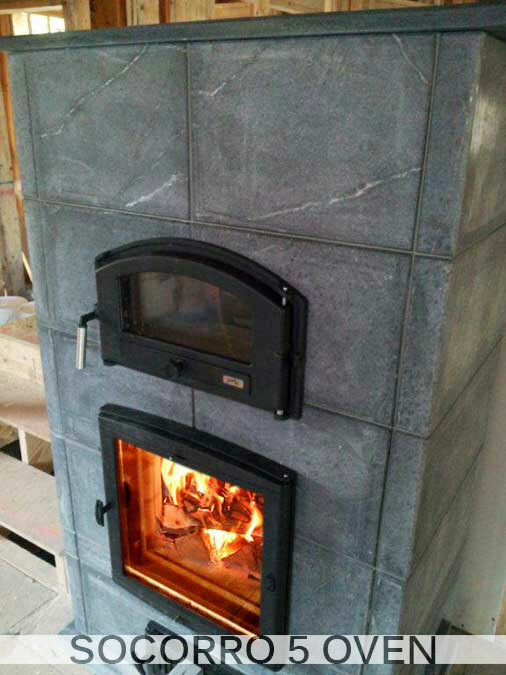 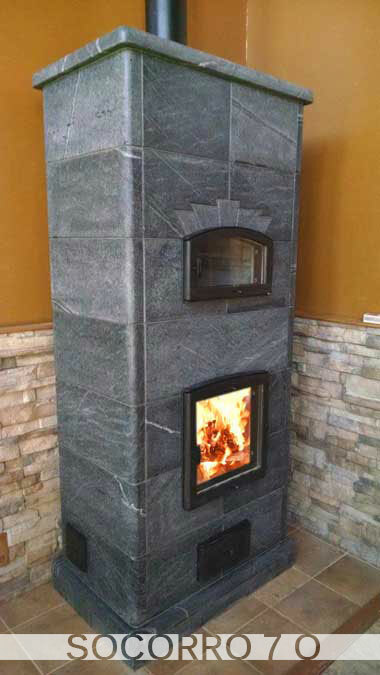 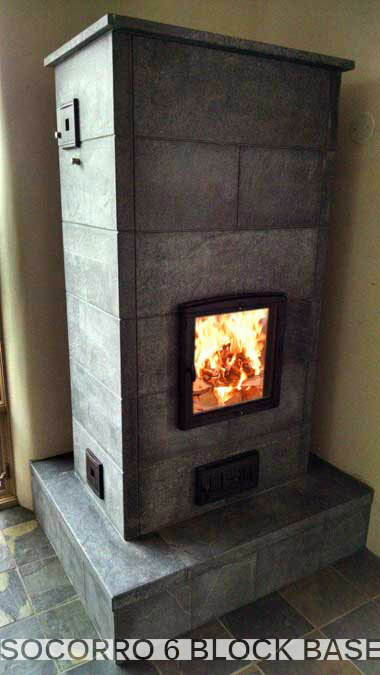 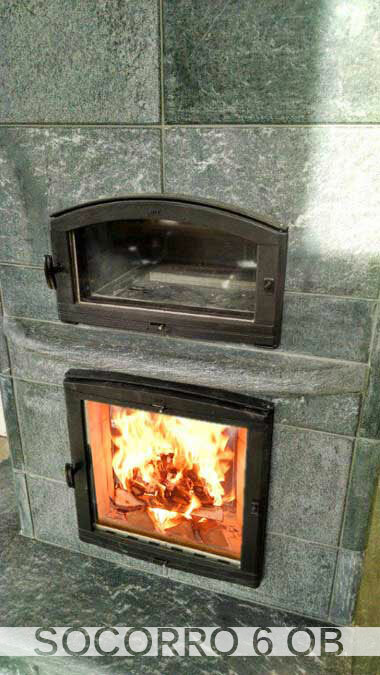 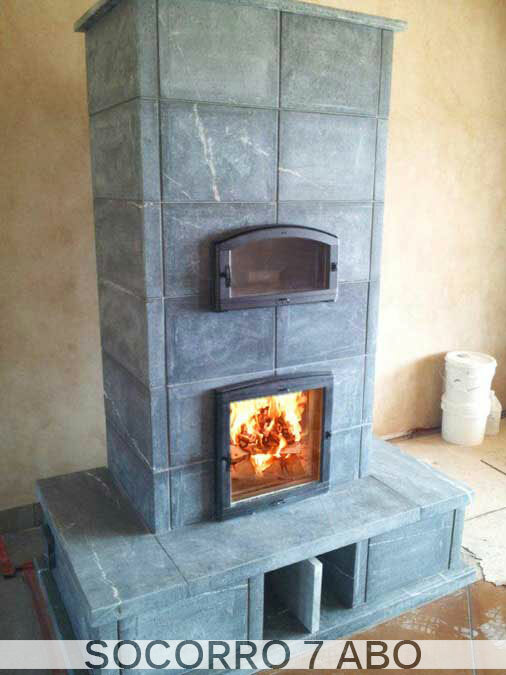 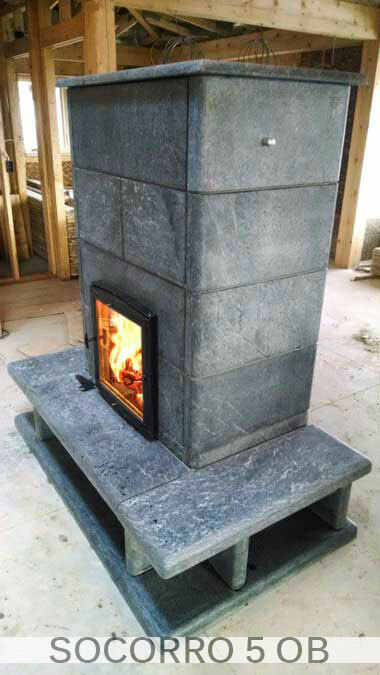 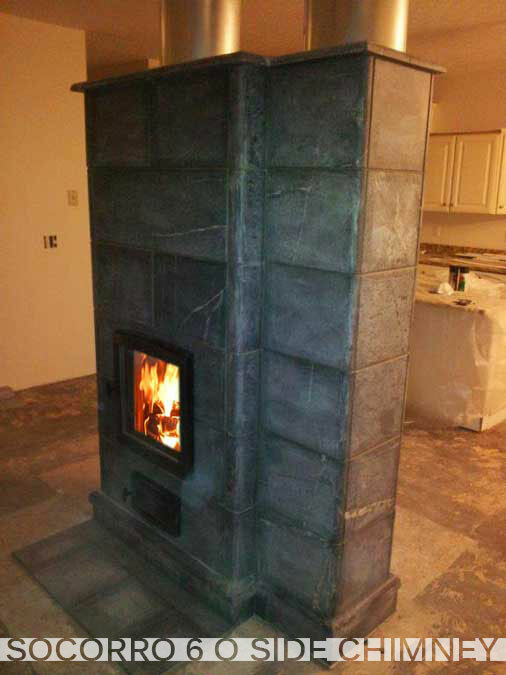 The Socorro is our best selling heater series and is probably the best value of any soapstone masonry heater in the US. 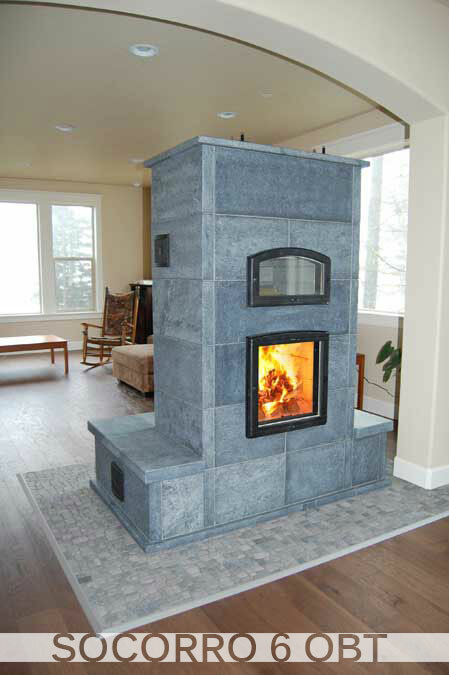 It is designed for medium sized spaces up to 1,600 square feet plus. 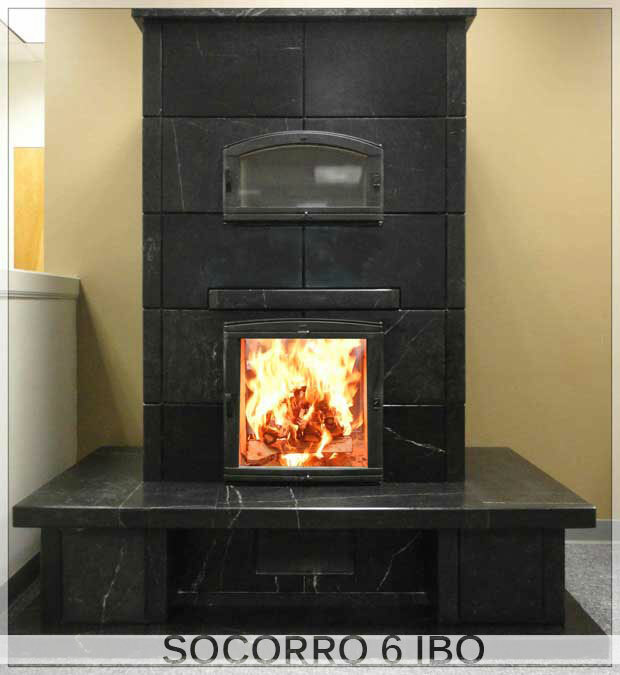 The Socorro series can be built from five to seven courses in height and has a 38 by 24 inch footprint. 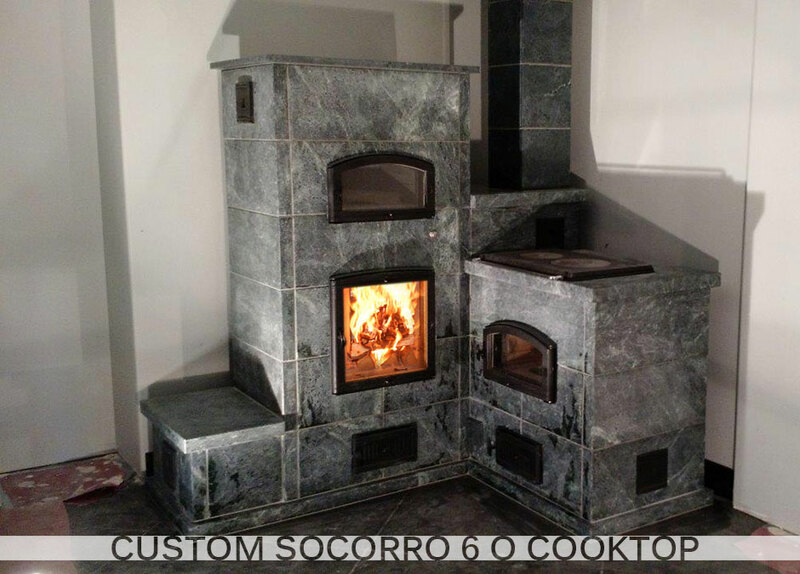  This series can include double-sided, tunnel doors, bake oven on front or back, mantle and a wide variety of bench designs. 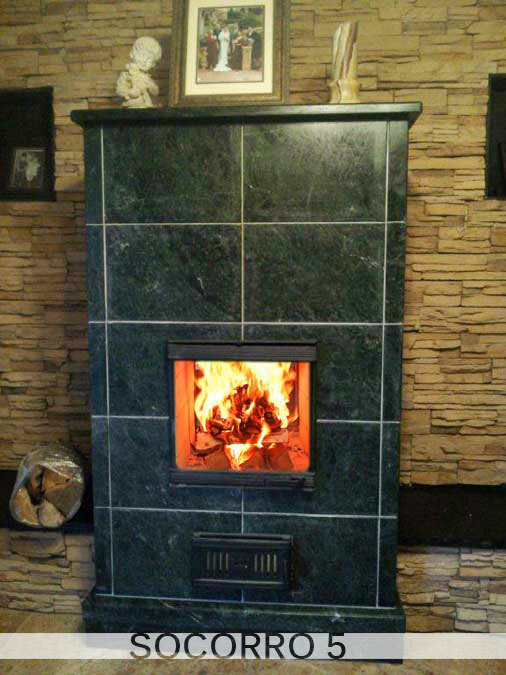 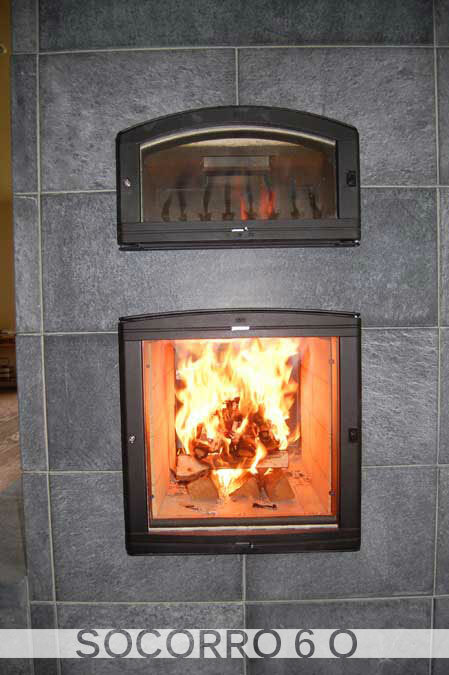 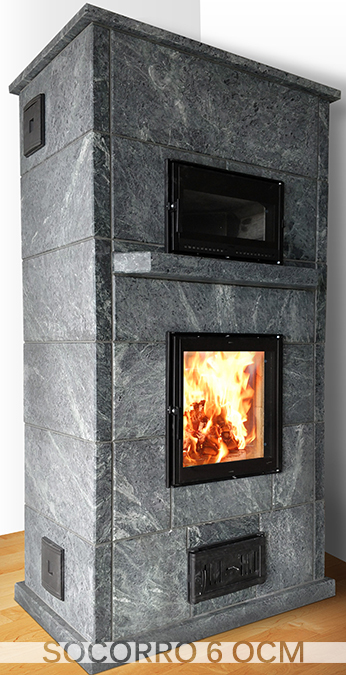 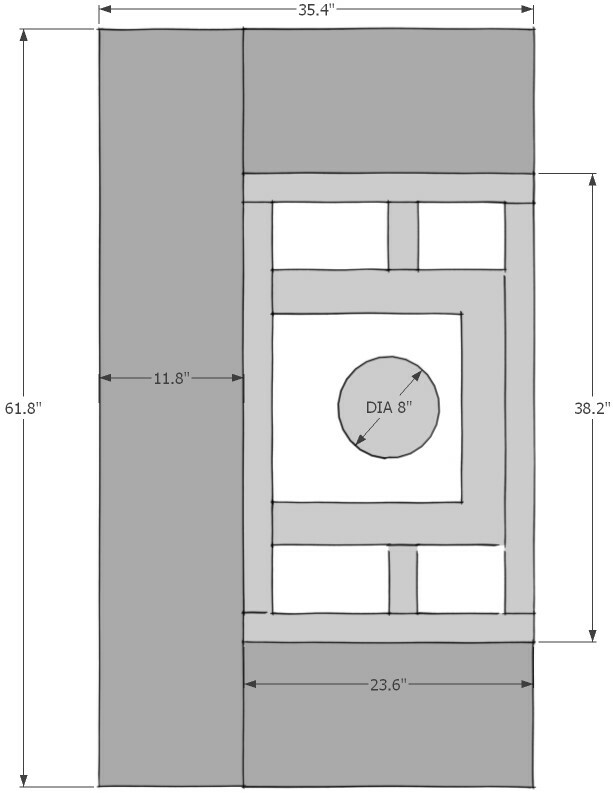 It can be built with top or rear-exit flue locations.